On a Holland America cruise, you can generally expect high quality food, and way too much of it. Nearly every dish that we have eaten has been well seasoned, elegantly presented and an appropriate temperature (even in the buffet!) 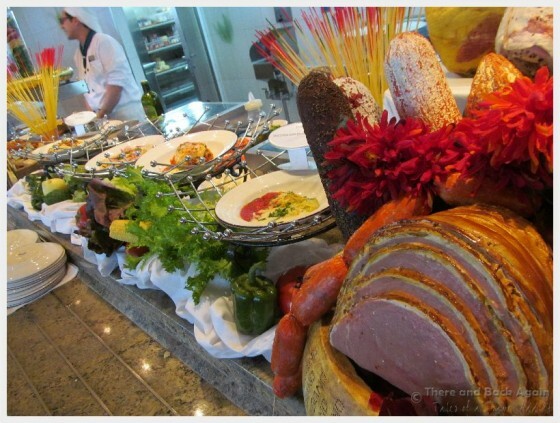 Dining on a Holland America cruise is always a real culinary pleasure. 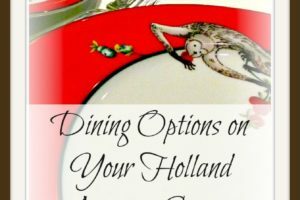 This is one of my favorite Holland America cruise tips (especially now that we cruise with children…) You can generally get the same meal that they are serving in the main dining room in the Lido buffet (you can also order it from room service between certain hours)! During the day, you could always get pizza and burgers poolside even during this time. 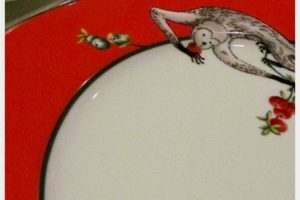 If you are a night owl, you might be lacking options for food in the middle of the night (the customary midnight buffet was only offered once or twice during our cruises). We often saw grab and go sandwiches available during lunch. If you are worried, grab one of these with some fruit and keep them in the fridge in your room for late night munchies! The wide variety of live music on a Holland America cruise ship is really lovely. Some of it was too slow for our tastes, but we really enjoyed the string quartet that would play most nights after dinner and the piano bar always seemed like it was a happening place in the evenings. On the Holland America cruises that we have been on, there were many less onboard announcements than we had heard on other cruise lines. Less onboard annoucements = a more relaxing cruise. I wish all cruise lines would realize this. I am an adult, I am capable of reading my daily program and deciding for myself which activities I want to attend. I love that Holland America doesn’t play loud reggae music by the pool. I am not sure if I am the only one that doesn’t find the standard reggae offerings that are played poolside on other cruise lines relaxing, but the acoustic guitar that we have heard on Holland America ship by the pool was an unobtrusive and tranquil addition the afternoon. 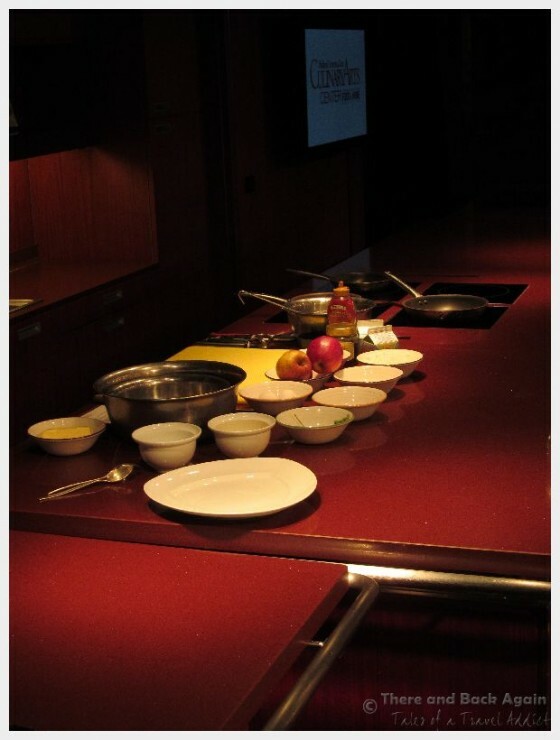 Holland America offers live cooking demonstrations are offered on each cruise. I learned how simple it is to make Creme Brulee the other day, and I can’t wait to get home to try it! They also have more advanced, hands on workshops that you take take to deepen your skill level and cooking knowledge. Holland America cruise tips (aka – things we wish we had known BEFOREHAND)…the cooking workshops filled up quickly on our cruise, so make sure to book as soon as possible! UPDATE – Since our last cruise, Holland America has added cooking demonstrations from America’s Test Kitchen. They offer cooking demonstrations and hands on workshops on Holland America ships as of 2017. I LOVE their recipes, and can’t wait to try this on our next Holland America Cruise! I really enjoy the understated, timeless beauty of the ships. Holland America ships are simple but not dated, and are pleasing to the eyes. Classic looking wood and brass that invokes the feelings of an earlier, more elegant era of sailing and add a touch of glamour. Real ice cream sundaes on the lido deck. Yum. A real, honest to goodness library. 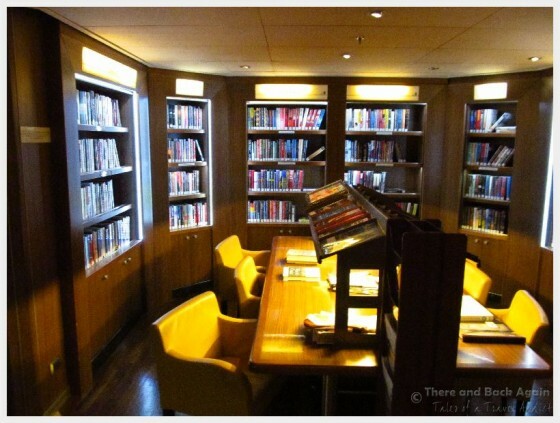 Holland America ships have a real library on them, with an impressive selection of books. We utilized the library to look at a wide range of travel related books to help us plan our days in port. In addition to the wide range of books available, the library also offers a good selection of games and space to play them in. In comparison to the meager book offerings on other cruise lines, the library was a pleasant surprise. The distinct absence of pushy photographers wanting to take my photo. We have not been pressured into taking an unwanted photo yet! The little things…the attention to small details that Holland America does so well with. Fresh flowers around the ship and cloth towels for drying your hands in the public bathrooms. A Review of A Cruise on the Nieuw Amsterdam WITH KIDS! We had an awesome Holland America Cruise! Have you even cruised with Holland America before? 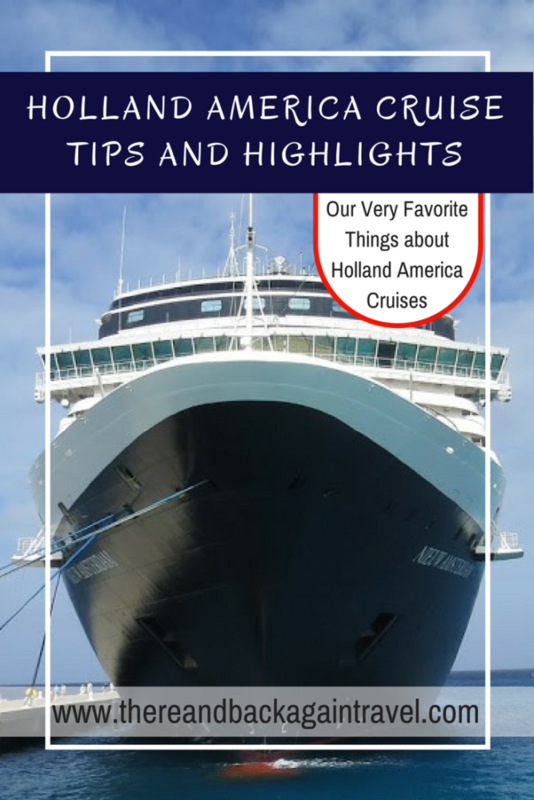 What are your favorite Holland America cruise tips? I am afraid I cannot agree with you about the too loud and annoying house music they put every afternoon and evening by the adults pool in the ship aft. 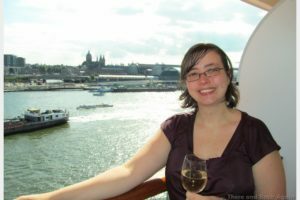 Perhaps my experience was different…I would imagine that they might play different music on a Caribbean cruise than on the Northern European one that I was one. I am glad to report that I did not hear any annoying music by the aft pool area (or any pool area, for that matter) on the Eurodam.